The long weekend is over, and it seems summer is trying to follow suit! 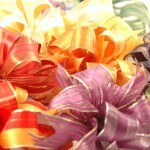 Why not beat the bank holiday blues and bring some cheer to the office? 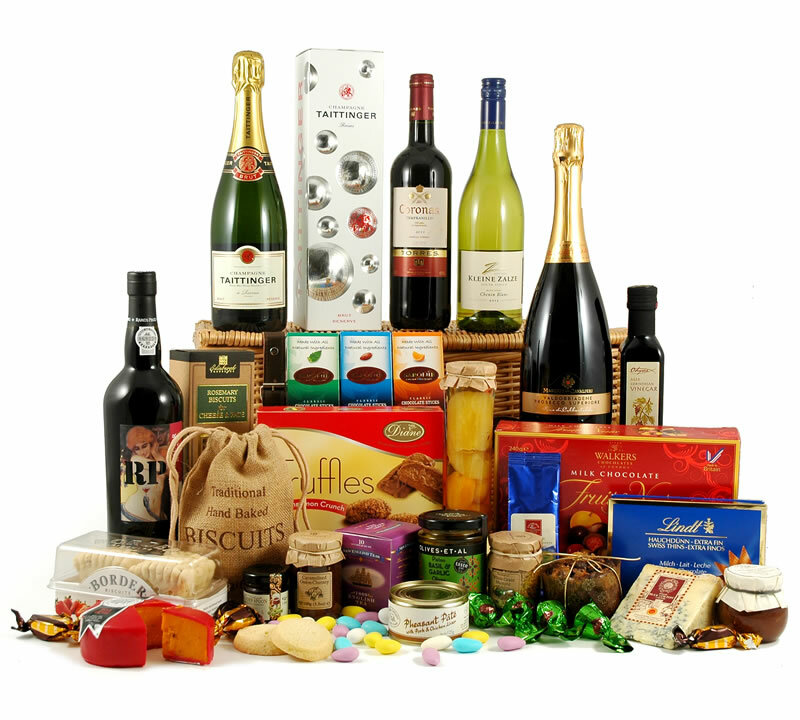 We think one of our hampers will do just the trick! Has your team been working hard all year? They deserve a big thank you for all the effort they’ve put in. 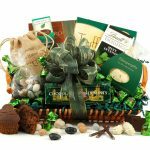 Perhaps you want to send a gift to your customer, or a client you’ve been working with on a long project. 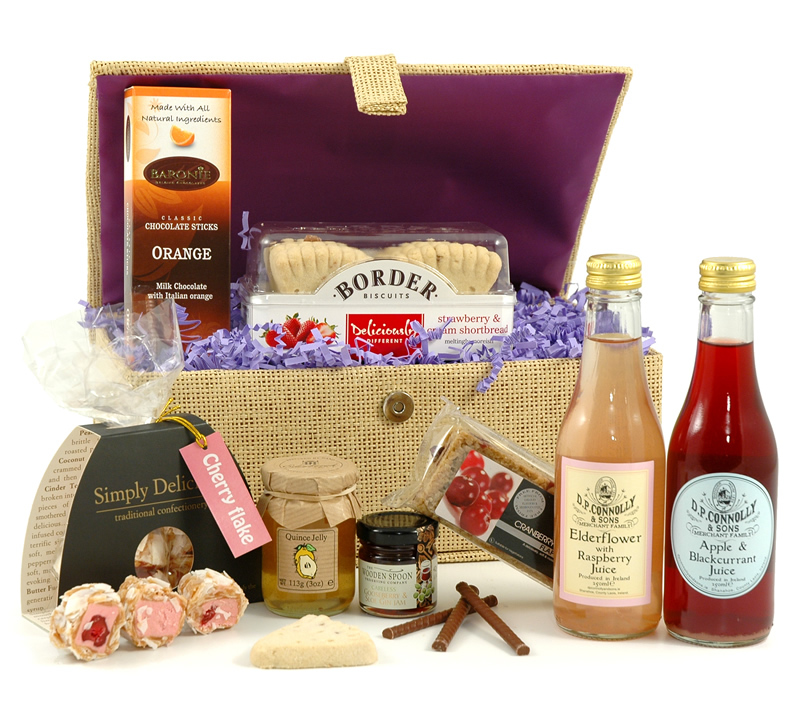 Our thank you hampers are the perfect gesture for the occasion. Present the Chocolate & Nut Delight at the next team building exercise and make a big impression! What’s more motivational than premium chocolate? 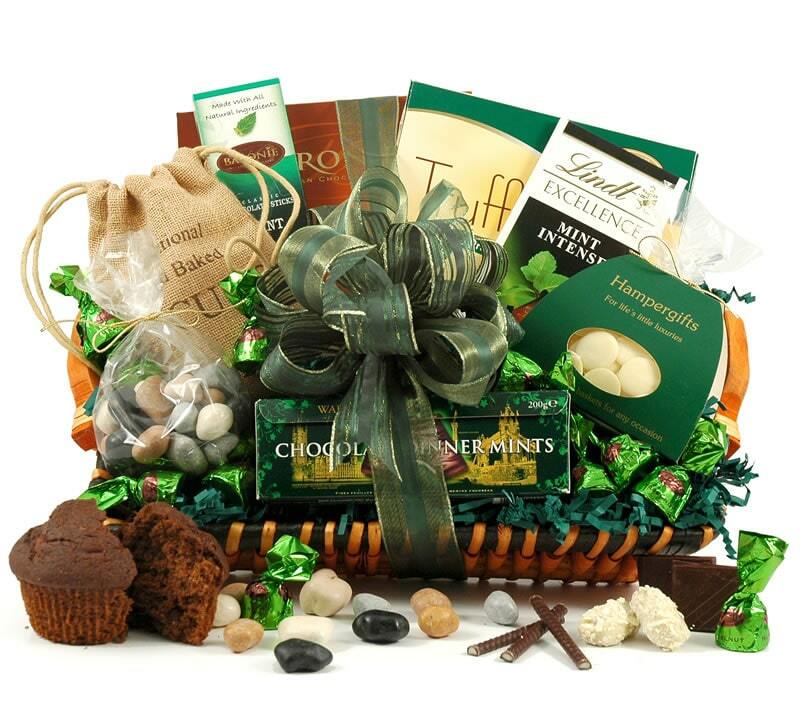 The Topaz is one of our most popular Thank You hampers and is the perfect way to say a big thank you to clients, customer or employees alike. 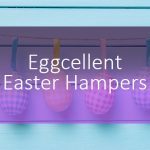 Treat them to a medley of delicious award winning treats and a bottle of bubbly! Sometimes simple is best. 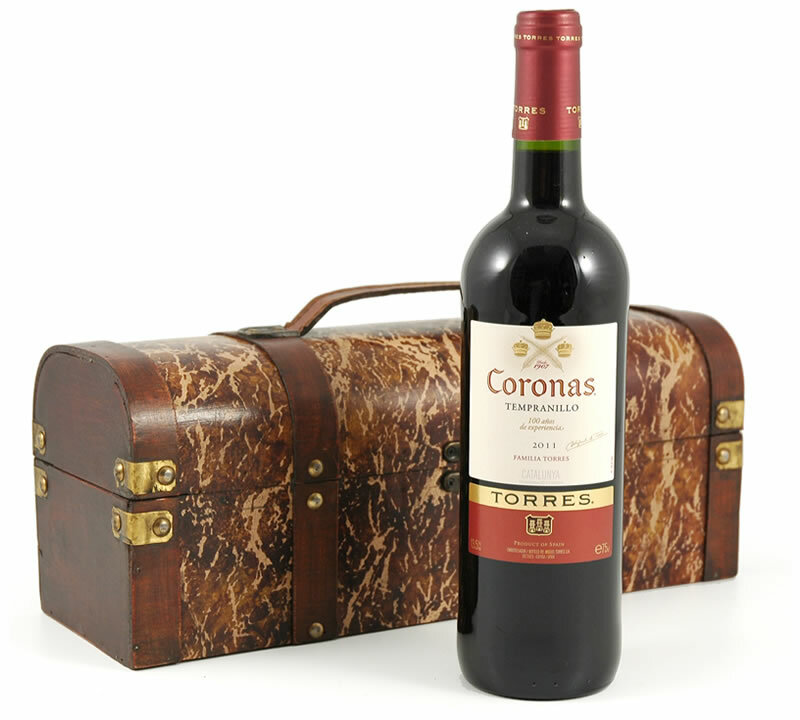 Give your client the Torres Coronas in Wooden Box. This beautiful red is housed in an eye catching antique-effect wooden case with brass latch. There’s always one person who catches a summer cold….or worse..the dreaded man flu. 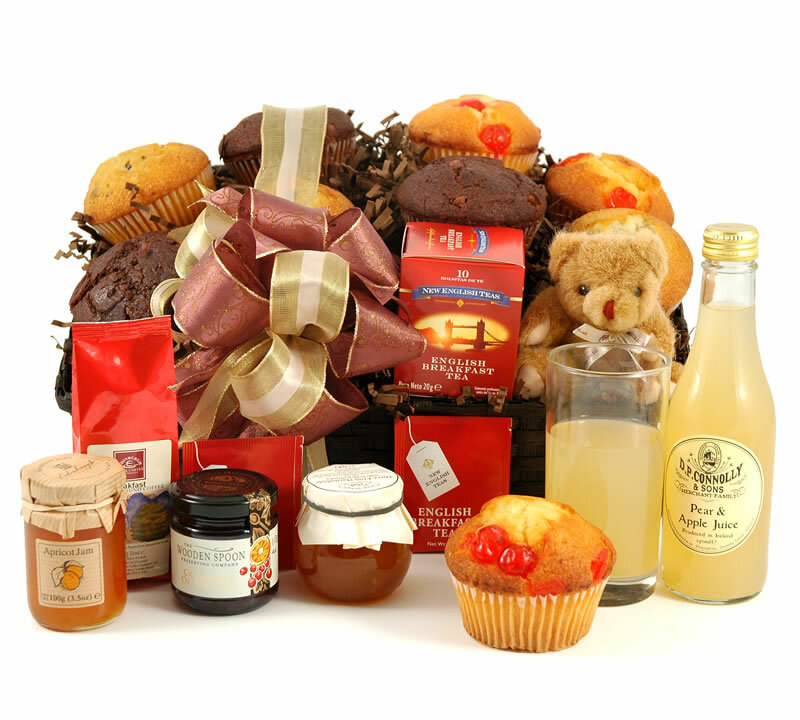 Wish your co-worker a speedy recovery with one of our hampers. 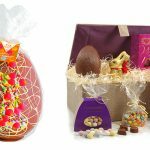 You can even add a personalised gift message with your delivery to let them know you’re thinking of them. 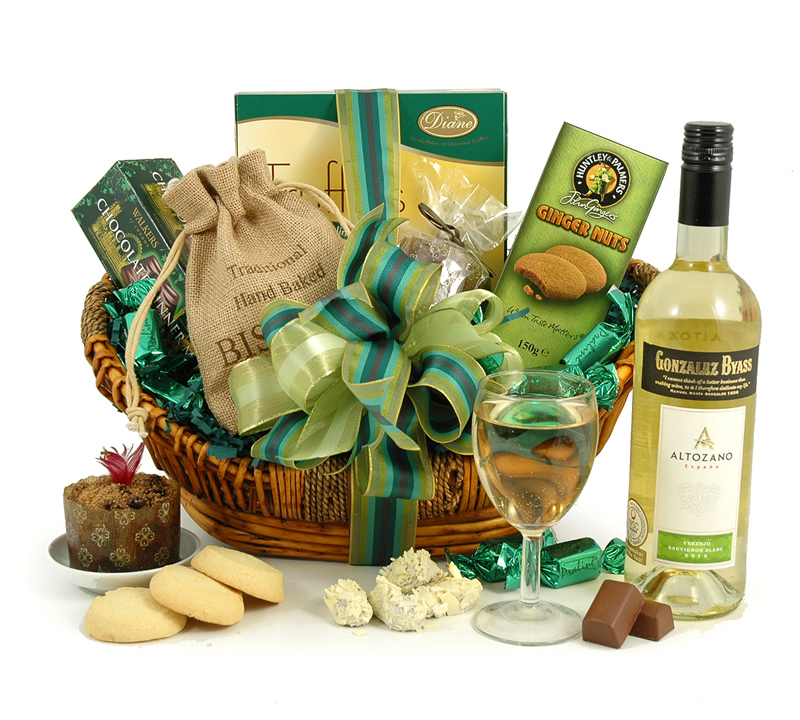 One of our bestselling hampers, the Emerald White Wine Hamper contains specially selected goodies to complement the splendid Spanish white included. The Summer Berries Gift Box is packed full of fruity goodness that is bound to put a pep in their step! Have The Breakfast Hamper delivered to their door so they can start the day right. 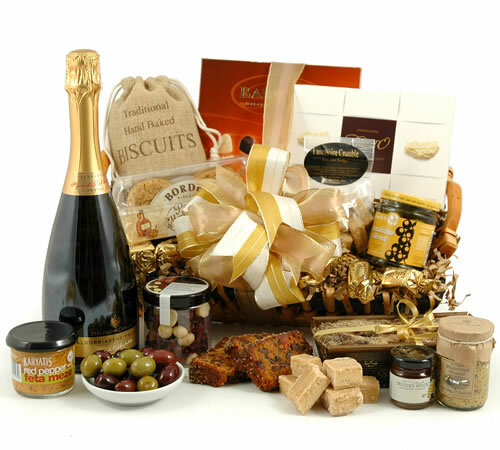 Our Breakfast Hampers are packed full premium items. 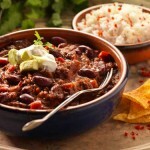 Attending a big corporate gathering and not sure what to bring? 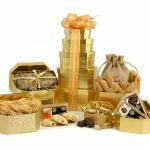 Our larger hampers and gift towers are sure to impress. 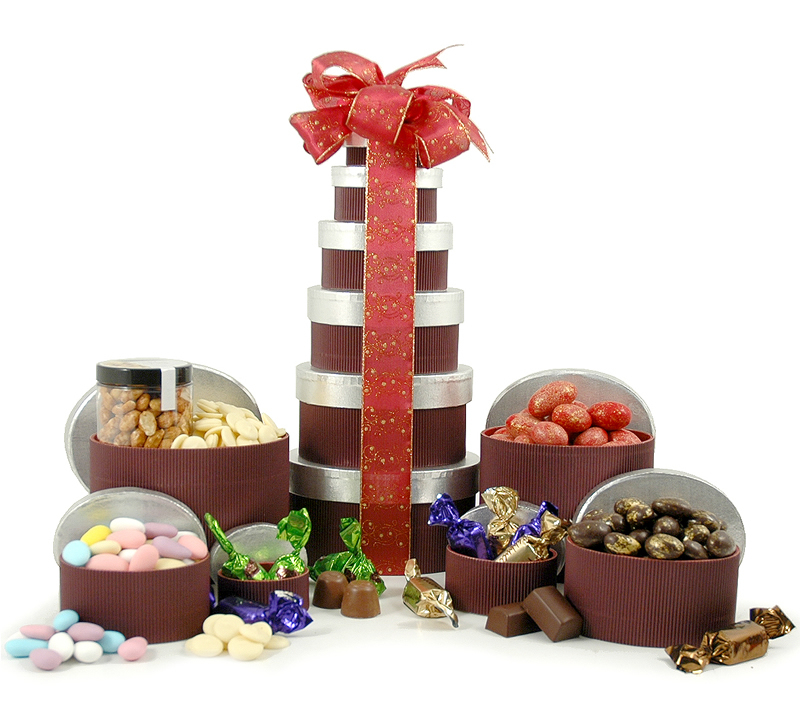 The Chocolate Heaven Hamper is a real crowd – pleaser. 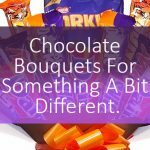 Packed full of premium chocolate delights, it’s great for sharing around a big group. 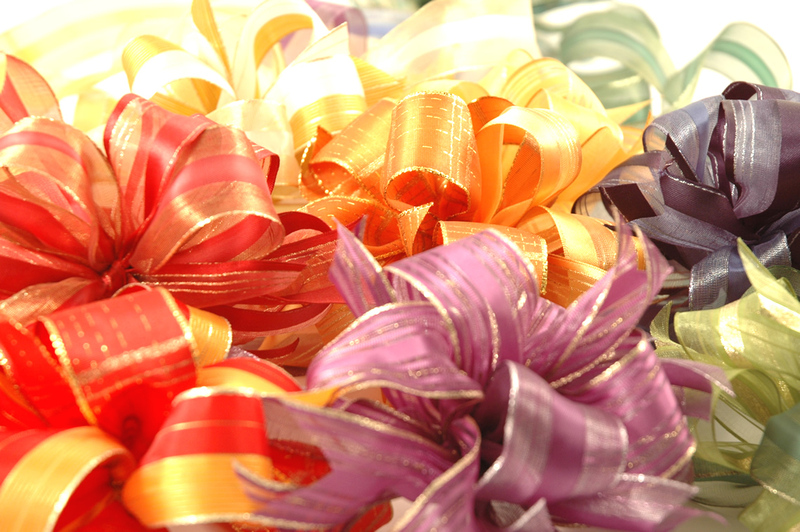 If you’re looking to mark a big occasion, the Royal makes the perfect gift. 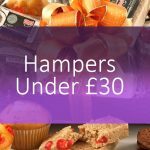 This exquisite hamper is packed full of gourmet foods and award winning champagne and wine, all presented in a timeless wicker basket.